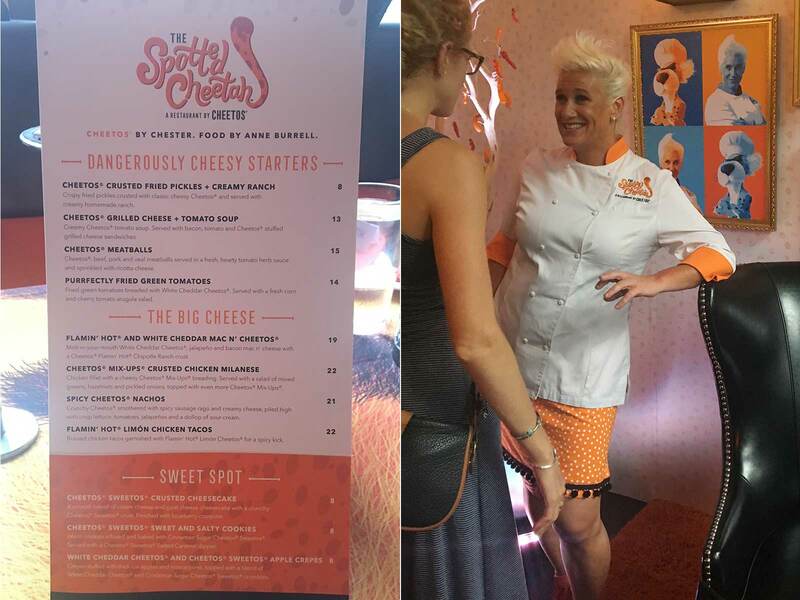 Celebrity chef Anne Burrell and Chester Cheetah teamed up to unveil The Spotted Cheetah, a pop-up New York City restaurant that introduced SI Eats into cheese heaven. Even the biggest Cheetos lovers probably never dared to dream this cheesy. 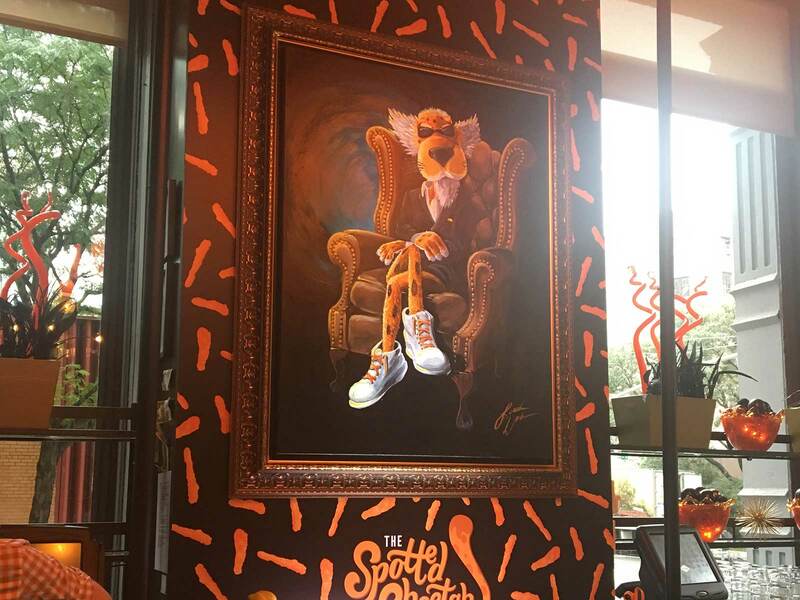 Celebrity chef Anne Burrell and Chester Cheetah teamed up this week to unveil The Spotted Cheetah, a pop-up New York City restaurant with a classy touch that won’t leave orange dust all over your hands. Don’t bother trying to get in: the restaurant is only open for three days (until Aug. 18) and was completely booked within six hours of offering reservations. And in true New York fashion, there’s a 1,000-person waitlist just in case anyone bows out at the last second. SI Eats was lucky enough to be invited to try out the menu before the Cheetos fanatics descended upon the pop-up eatery. Here's a recap of our encounter with cheese heaven. OK, now this portion I was skeptical about. How are you going to put Cheetos in cookies and crepes? And even more importantly, how am I going to eat them in a public setting without spitting them out? Alas, no courage was needed. The cookies were warm and tasty and the Cheetos Sweetos Salted Caramel dip should be sold in stores across the country. I wasn’t as big of a fan as the Cheetos Sweetos Apple Crepes, but that didn’t stop me from dusting off my plate. Actions speak louder than words. My only regret? That you won’t be able to try it out and agree with me. But there's good news for adventurous Cheetos fanatics: The Spotted Cheetah Digital Cookbook.You’re welcome.